Fish-out-of-water stories have a basic problem: they've been done to death. No matter how entertained you may have been the first time you saw a movie or series where someone had to adapt to a strange new world, by this point in your life you've probably seen it before and now it's dull. Oh, this person has to learn to appreciate a different culture, strange food and funny hats? You don't say! 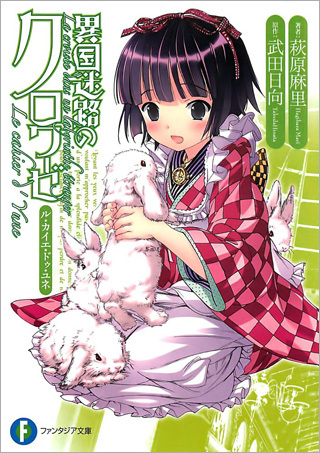 Ikoku Meiro no Croisée (also called Croisee in a Foreign Labrynth), a fish-out-of-water story about a young Japanese girl adapting to life in an idyllic version of late 19th-century Paris, gets around this problem in two ways: 1) By having likable characters you really don't mind doing the same old thing with, and 2) displaying absolutely drop-dead gorgeous visuals. 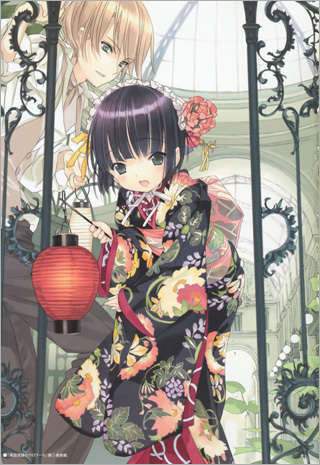 Yune, our little Japanese girl (and quite possibly one of the most adorable anime characters of all time) travels from Nagasaki to Paris to learn about Western culture. 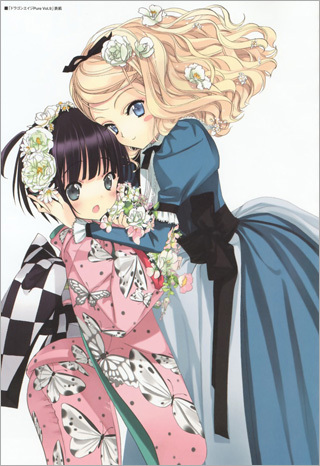 Invited to serve as something between a maid and an honored guest at the metal crafts shop and home of the brusque Claude Claudel and his grandfather Oscar, she enjoys her new life in Europe while her roommates learn a little something about Japan as well. The stranger-in-a-strange-land antics have all been done before, but Croisee keeps your interest on the strength of its characters. 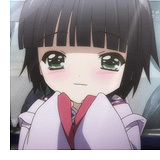 Yune may seem like a stereotypically submissive Asian female at first, but it doesn't take long before you see the steel that gets into her backbone when it comes to something she wants- her desire to become more Western has an obsessive edge to it that's much more interesting than her cute exterior lets on. Claude seems like a very competent craftsman at first, but he also has his complications- his devotion to the quality of his work clashes with his devil-may-care attitude towards customer service, something that becomes a concern when a shiny new department store starts driving all the smaller stores out of business. Meanwhile, grandfather Oscar seems to be very popular with the ladies-more so than the handsome Claude, in fact. What's going on with that, anyway? Can't Gramps arrange a double date? 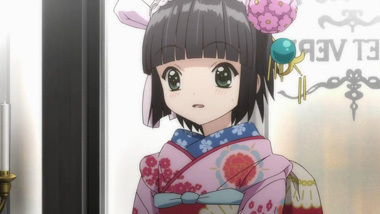 At the risk of sounding shallow, the first thing we noticed about Ikoku Meiro no Croisée is how amazing it looks; everything, from the architecture to the details of Yune's kimono, is sumptuous and detailed. 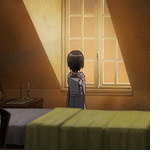 In fact, an impressive attention to detail pervades the whole show; notice the difference between the deliberate way Yune walks in her Japanese sandals, versus Claude's confident swagger. 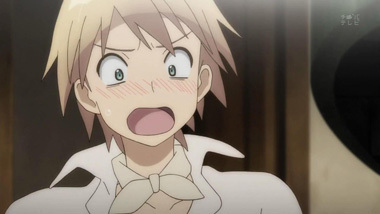 While the show does sometimes indulge in some classic anime shorthand - such as Yune's great "Ewww!" expression when she tastes cheese for the first time- most of the time, the visuals are rich and sensual, like dark, sophisticated European chocolates. 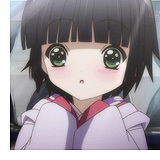 Even Yune's crop of short black hair somehow looks more interesting than you would expect. 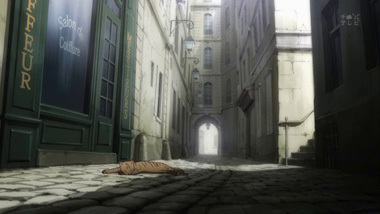 Croisee finds itself in a similar predicament to Usagi Drop, with which it shares vintage (both aired in the summer of 2011): while some will eat up all of the little details with a spoon, others will likely be bored at times. 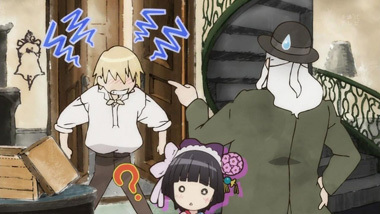 And rightly so- early on in the show, big drama constitutes Yune picking up an umbrella and following Claude out into the rain so he won't get wet. While there is certainly a plot, epic it is not. 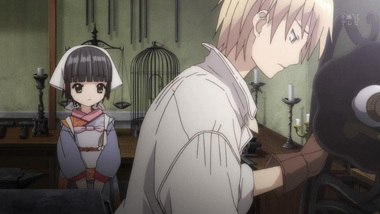 Someone without the patience for the show's easygoing stroll through character development may often insist that nothing is happening on screen, while the viewer who likes looking at details like how differently Yune's tiny hands interact with everything versus Claude's, will insist that there's always a lot going on. Neither viewer is right or wrong, but the fact remains that it takes a certain kind of viewer to enjoy this show without the word "dull" once coming to mind. 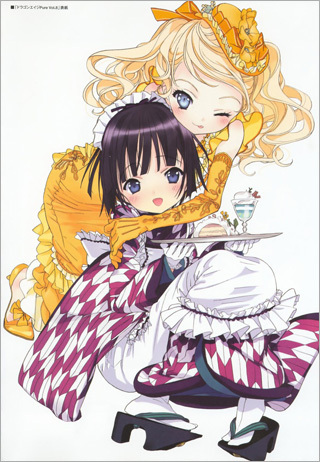 While interesting, the relationship between Claude and Yune might be off-putting to some; while Yune is 13 according to the manga by Hinata Takeda, she looks about 7 in the anime, and her relationship with 18-year-old Claude seems to be going in a romantic direction early on in the series. 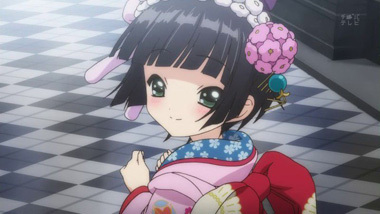 We had hoped to see things stay platonic, at least until a "and they lived happily-ever-after" style time-skip aged up Yune at the very end, but whether or not their relationship seems particularly romantic probably has as much to do with the viewer as the show. 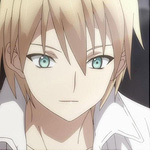 Another aspect of the show that some may find off-putting is the comparisons between Japanese and Western culture. 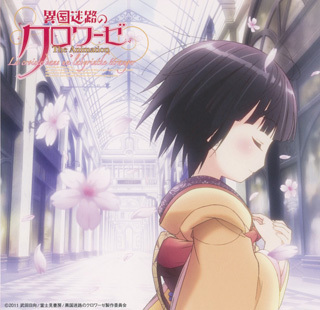 Some might interpret the show as idealizing Yune and her values over the other characters, meaning that the show displays a message of Japanese cultural superiority. 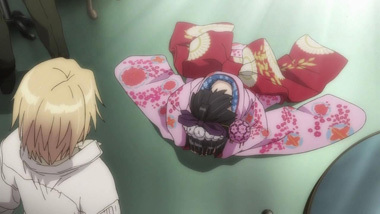 We felt that the episodes we watched were pretty even-handed in this regard (and that any idealization of Yune comes from the fact that she's the main character and thus meant to be admirable, not because she's Japanese), but it's definitely possible that the series' take on culture clash could rub some viewers the wrong way. Also, some pieces of character dialogue may seem stunningly racist, until you remember that this is a show set in the 1800's and such attitudes are only too realistic for the time period. 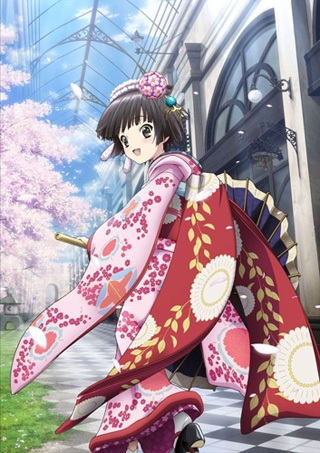 The show also takes place in the context of Japonism, or European culture's increasing level of fascination with Japanese art and aesthetics during the time period. 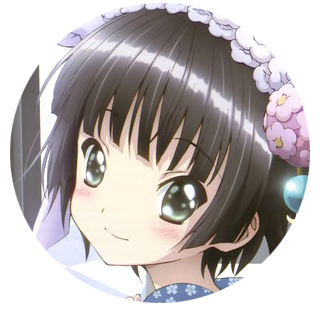 Alice, a privileged, card-carrying Japan-lover who fusses over Yune more because of what she is than who she is, reminded us of some obsessive otaku in this day and age who idolize Japanese culture without seeking genuine understanding. 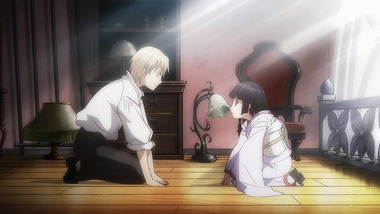 Intentionally or not, it gives the show another dimension; there are a surprising amount of parallels between the relationship between Japan and the West in the late 19th century and the early 21st. For more on this topic, check out Roland Kelts Japanamerica: How Japanese Pop Culture Has Invaded The US. 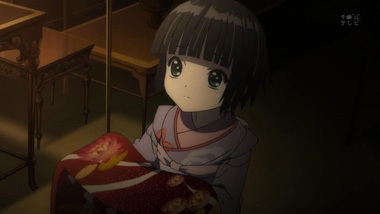 As it stands, the show is at its best when Claude, Yune and Oscar are sitting around the table doing very little other than being charming. Sure, giant robot fans might not find this to be their cup of (Japanese or French) tea, but when the show makes doing nothing look this good, it's hard to imagine anything else we'd like to be doing more than simply watching it. 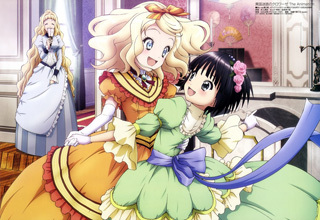 Below: Scenes from Ikoku Meiro no Croisée . 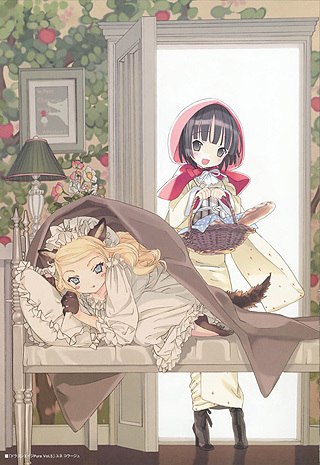 Below: Promotional illustrations for Ikoku Meiro no Croisée .